Learning how to cook apples is not as simple as coming across good apple recipes. A cook needs to know the different types of apples. For years eating apples had to be crisp, fresh and juicy and cooking apples and baking apples had to cook up like “mush”. I agree with the eating apples but I do not like my cooked apples to be mush. Of course, this is a matter of personal preference. The best apple pie recipes that I have ever eaten were made with McIntosh apples which are recommended for eating not cooking. When these pies were served, the apples were tender but held their shape. The flavor was wonderful and I enjoyed knowing that the pies were made with apples and not applesauce. Mentioning applesauce, I even like chunkier applesauce recipes. Like I said, this is personal preference, but again when I eat applesauce or cooked apples I do not want mush. 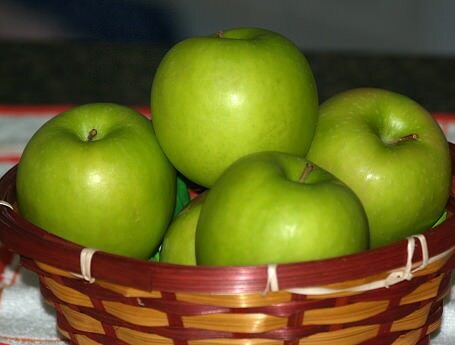 The Granny Smith apples have long been recommended as a great cooking apple. Recently I baked some of these and they quickly cooked up to thinner than mush. You will discover your own preferences and taste. I have found the recommended cooking apples and baking apples to be very good and flavorful in apple butter recipes where you want them to cook down into a spread. 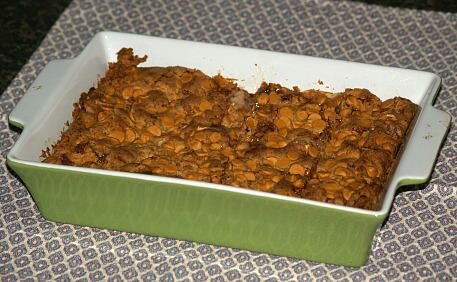 These are also very flavorful and add moisture to cake recipes, cookie recipes and sweet breads. What I am saying is do not limit yourself when you learn how to cook apples. Try all the apples at hand in different ways; you might stumble onto something new and pleasing to your palate. It is only by trying a multitude of apple recipes that you learn how to cook apples. APPLE DESSERT RECIPE This is a favorite recipe when you learn how to cook apples. Combine juice and marshmallows in a saucepan; cook over low heat stirring until marshmallows melt. Chill marshmallow mixture until thick; Stir in the grated apples. Fold whipped topping into apple mixture. Line a 9 inch square baking pan with the whole vanilla wafers. Pour apple mixture over the whole vanilla wafers; spread evenly. Sprinkle top with crushed vanilla wafers; chill until serving. Combine cake mix, coconut and butter in a large bowl; blend on low speed until crumbly. Press mixture on bottom and ½ inch up sides of ungreased 9 X 13 inch baking pan. In small bowl combine sugar and cinnamon; sprinkle over filling. Blend sour cream and egg; spread over filling. Bake 25 to 35 minutes or until edges are light golden brown. Serve warm or cold; store in refrigerator. How to cook apples to make delicious squares topped with ice cream. Combine eggs, sugar and oil; beat well. Add apples, salt, soda, yeast, cinnamon, nutmeg, flour and nuts; mix well. 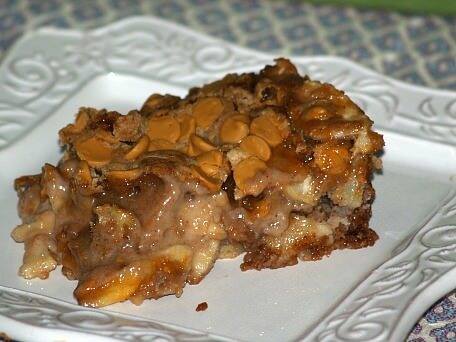 Place mixture in a greased 9X13 inch baking pan; cover with butterscotch morsels. Bake for 45 to 50 minutes; cut in squares and serve with ice cream. Preheat oven to 375F degrees; grease liberally a bread loaf pan. Sift dry ingredients together; add milk, egg, shortening and vanilla. Blend mixture well; stir in nuts and apples. Bake 40 to 45 minutes; cool 10 minutes and remove from pan. How to cook apples in a streusel topped dessert. Preheat oven to 350F degrees; grease 9X13 inch baking pan. Cream butter, shortening and sugar in a large bowl; beat in eggs and flavorings until blended. Beat mixture on high speed for 3 minutes; gradually add flour and baking powder while mixing. Spread mixture in prepared pan; arrange plum and apple slices over batter. For streusel mix flour and brown sugar together; cut in butter until crumbly. Stir in pecans; sprinkle over top of fruit in pan; BAKE about 45 minutes or until lightly browned. Cool pan completely; for GLAZE mix together milk and powdered sugar and drizzle over top.